Occupying a large area along the eastern coast of South America, Brazil is the fifth largest country in the world by population and by geographical area. Foreign nationals have been attracted to this Latin American nation not just because of its diverse wildlife and natural beauty but also because of its highly competitive job market. Though there has been a slight economic setback due to the global financial crises in 2008, expats can still expect attractive employment opportunities in one of the most beautiful nations in South America. In fact, Brazil's Gross Domestic Product was worth USD 1774.27 billion in 2015 which was equivalent to 2.86% of the world economy. Possessing the ninth-largest economy in the world (by nominal GDP) is just one of this country’s major selling points because aside from its financial success, it also boasts a local government that works rigorously to lower down the unemployment rate by boosting several industries that will attract skilled workers from all over the world. A huge number of expats who work in Brazil are based in Rio de Janeiro and Sao Paulo whereas the latter serves as the centre for stock exchange. The employment rate in Brazil is at 67%, and major job industries in the country include the tourism, agricultural, mining, and manufacturing and service sectors. Today, the Brazilian IT sector tends to seek out graduates of Computer Science, Information Technology and Management Information Systems (MIS). Brazil is the home of Intel, the leading company in cutting-edge research and technology. A good number of jobs are in the oil and gas industry. Professionals from the accounting and finance fields are also in demand. Manufacturing companies continually update their current processes to keep up with advancing technology, which in turn creates a high demand for engineers. Expats who have qualifications in production and in the commodities markets can also find employment in this country since Brazil is one of the leading producers of coffee, oranges, soy beans and papayas. Knowing the minimum wage while working in Brazil is of utmost importance since a huge number of the local workers calculate their salaries based on the value of the minimum wage. As of 2016, the Salário Mínimo (minimum wage) in this country was BRL 880 (USD 228) per month or BRL 4.00 (USD 1.27) per hour. It is the amount set by the government for the wage of regular workers or the lowest salary a Brazilian employer can legally pay to their employees. It is also worth noting that the minimum wage in Brazil is set on a federal level and each state is legally entitled to set Piso Salarial (wage floors) that is different but not less than the federal minimum wage. Expats on the other hand, may receive average salaries that are higher than their local counterparts since employers usually benchmark their wages based on their salary and benefits in their home country. 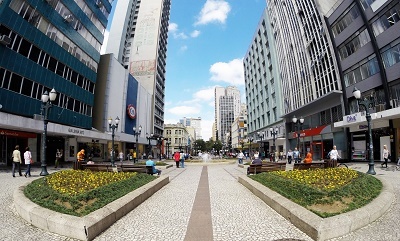 In Brazil, the labour laws protect the employees from exploitation and discrimination. For example, no probation period can exceed three months or 90 days and the limitation of contracts is only legally acceptable for a period of up to two years. In such cases where contracts have limitations, the work agreement must contain a clause stating why such limitation is necessary because as per the Brazilian law, employment contracts should be unlimited. It is also mandatory in Brazil for the employers to provide a 30 day notice before dismissing an employee. Every legally employed individual in this country is entitled to two annual bonuses which must be paid in November and December. The maximum work hours per week in Brazil are 40 to 44 hours depending whether the employee works five or six days a week. Overtime work must be paid with a premium of 50% for regular days and 100% if the extra hours are rendered on a Sunday or during a public holiday. As a thriving nation, job opportunities in Brazil are many and varied for those interested and willing to take the time to study their options. The working environment is mostly warm, and not as competitive in other major economies of the world, as business relations are established from personal relationships. The Brazilian working culture is more laid back, with most offices even having 2-hour lunches. Setting appointments ahead is necessary, especially considering most companies' executives start later than the usual business hours but work late in the evening. However, this should not be misconstrued as something negative. Brazilian professionals are very much aware of modern day business practices, and they take their work seriously. Although there is male dominance in the workforce, women have significantly carved their niche in the corporate arena. Like in most countries, senior positions are usually awarded to those with post-graduate qualifications. It is also important for people who are interested in working in Brazil to have ample ability to understand Portuguese and good conversational English skills.